The Israeli Air Force (IAF) Zroa HaAvir VeHahalal, "Air and Space Arm", commonly known as חיל האוויר, Heyl HaAvir, "Air Corps") is the air force of the Israel Defense Forces. 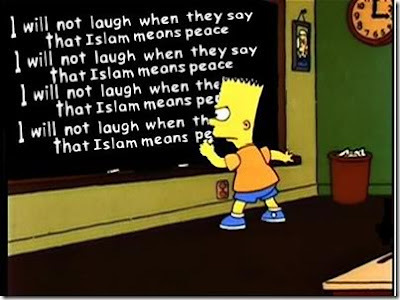 It was founded at the same time as the formation of the State of Israel. Its current Commander in Chief is Aluf Ido Nehoshtan. Preceded by the Sherut Avir, the air wing of the Haganah, the Israeli Air Force was officially formed on May 28, 1948, shortly after Israel declared statehood and found itself under immediate attack. At first, it was assembled from a hodge-podge collection of civilian aircraft commandeered or donated and converted to military use. A variety of obsolete and surplus ex-World War II combat aircraft were quickly sourced by various means to supplement this fleet. The backbone of the IAF consisted of 25 Avia S-199s (purchased from Czechoslovakia, essentially Czechoslovak-built Messerschmitt Bf 109s) and 62 Supermarine Spitfire LF Mk IXEs. Creativity and resourcefulness were the early foundations of Israeli military success in the air, rather than technology (which, at the inception of the IAF, was generally inferior to that used by Israel's adversaries). Many of the first IAF's pilots in 1948 were foreign volunteers (both Jewish and non-Jewish) and World War II veterans, who wanted to collaborate with Israel's struggle for its independence. The IAF's humble beginnings made its first air victories particularly impressive and noteworthy. Israel's new fighter arm first went into action on May 29, 1948, assisting the efforts to halt the Egyptian advance from Gaza northwards. Four newly arrived Avia S-199s, flown by Lou Lenart, Modi Alon, Ezer Weizman and Eddie Cohen, struck Egyptian forces near Isdud. Although damage was minimal, two aircraft were lost and Cohen killed, the attack nevertheless achieved its goal and the Egyptians stopped. The Avias were back in action on May 30, attacking Jordanian forces near Tulkarem, losing another aircraft in the process. 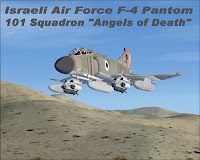 The Israeli Air Force scored its first aerial victories on June 3, when Modi Alon, flying Avia D.112, shot down a pair of Egyptian Air Force DC-3s which had just bombed Tel Aviv. The first dogfight against enemy fighters took place a few days later, on June 8, when Gideon Lichtaman shot down an Egyptian Spitfire. As the war progressed, more and more aircraft were procured, including Boeing B-17s, Bristol Beaufighters, de Havilland Mosquitoes and P-51D Mustangs, leading to a shift in the balance of power. By the end of the war in early 1949, the IAF had secured air supremacy over Israel, one that has not been seriously challenged since. The Israeli Air Force played an important part in Operation Kadesh, Israel's part in the 1956 Suez Crisis. At the launch of the operation, on October 29, Israeli P-51D Mustangs severed telephone lines in the Sinai, some using their propellor blades, while 16 IAF DC-3s escorted by fighters dropped Israeli paratroopers behind Egyptian lines at the Mitla Pass and Et-Tur. During the 1950s, France became a major supplier of warplanes to Israel, but relations between the two countries deteriorated just before the Six-Day War, when France declared an arms embargo on Israel. Consequently, Israel Aircraft Industries (IAI) significantly increased its aircraft and weapons production (initially based on the French models) and Israel switched to the United States as its principal supplier of military aircraft. 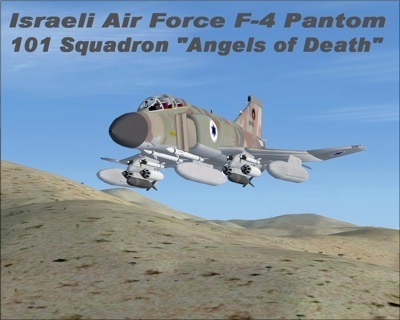 In three hours on the morning of June 5, 1967, the first day of the Six Day War, the Israeli Air Force executed Operation Focus, crippling the opposing Arab air forces and attaining air supremacy for the remainder of the war. In a surprise attack, the IAF destroyed most of the Egyptian Air Force while its planes were still on the ground. By the end of the day, with surrounding Arab countries also drawn into the fighting, the IAF had mauled the Syrian and Jordanian air forces as well, striking as far as Iraq. After six days of fighting Israel claimed a total of 452 Arab aircraft destroyed, of which 49 were aerial victories. The Israeli Air Force admits losing 46 aircraft, 12 to Arab air forces. * Operation Rooster 53 – September 26, 1969: IAF Super Frelon and Sikorsky CH-53 Yas'ur helicopters carry paratroopers in a raid to capture an advanced Soviet P-12 radar deployed in Egypt near Suez. A CH-53 helicopter carried the 4-ton radar back to Israeli held territory, tethered underneath it. * Operation Priha (Blossom) – January 7, 1970 – April 13 1970: a concentrated series of strikes against military targets in the Egyptian heartland. * Rimon 20 – July 30, 1970: the IAF ambushes and shoots down 5 Soviet MiG-21 fighters. During the Yom Kippur War of October 1973, the Israeli Air Force shot down 277 enemy warplanes, accounting for over a third of the IAF's total kills since 1948, but at the price of 53 pilots and over 100 of its own aircraft (104 according to Israel, 180–200 according to some western sources, 280 according to Soviet estimates). The IAF suffered heavy losses mainly due to the introduction of new Soviet air defense equipment and doctrine: medium range SA-6 mobile SAM batteries and point defence provided by short range Shilka radar guided SPAAG and SA-7 Strela MANPADS (employed by Egyptian infantry), advancing with the mechanized forces and covered by older but longer range and still very dangerous SA-2 and SA-3 anti aircraft missile batteries. Nevertheless, throughout the war, the IAF managed to assist IDF ground forces, and kept up strikes on targets in Syria and Egypt. One of the first encounters of the war was the Ofira Air Battle, involving two Israeli Phantoms versus 28 Egyptian Mig-17s and Mig-21s, and resulting in 7 downed Egyptian planes and disengagement of the rest. On October 9, 1973, two F-4 Phantom quartets attacked and destroyed the Syrian General Staff Headquarters in the heart of Damascus, damaging Syrian Air Force Headquarters as well. During the war, IAF helicopters proved to be highly useful in the logistic and MedEvac roles. Ever since the Yom Kippur War, most of Israel's military aircraft have been obtained from the United States. Among these are the F-4 Phantom II, A-4 Skyhawk, F-15 Eagle, F-16 Fighting Falcon, and E-2 Hawkeye. The Israeli Air Force has also operated a number of domestically-produced types such as the IAI Nesher, and later, the more advanced IAI Kfir, which were unauthorised derivatives of the French Dassault Mirage 5 (Israel bought 50 Mirage 5's from Dassault Aviation, but these were not delivered due to the French embargo emposed following the Six Day war). The Kfir was adapted to utilize a more powerful US engine, produced under license in Israel. In 1976, IAF C-130 Hercules aircraft participated in Operation Thunderball, the rescue from Entebbe, Uganda, of the hostages of Air France flight 139. On June 7, 1981 eight IAF F-16A fighters covered by six F-15A jets carried out Operation Opera (also referred to as Operation Babylon or Operation Ofra) to destroy the Iraqi nuclear facilities of Osiraq. Among the pilots that took part in the attack was the late Colonel Ilan Ramon, Israel's first astronaut. The planes returned to Israel very low on fuel. Prior to the 1982 Lebanon War, Syria, with the help of the Soviet Union, had built up an overlapping network of surface-to-air missiles in Lebanon's Beqaa Valley. On June 9, 1982 the Israeli Air Force carried out Operation Mole Cricket 19, crippling the Syrian air defence array. In subsequent aerial battles against the Syrian Air Force, the IAF managed to shoot down 80 Syrian aircraft without losing a single fighter plane in an air to air combat. IAF AH-1 Cobra helicopter gunships destroyed dozens of Syrian armored fighting vehicles and other ground targets, including some T-72 main battle tanks. In 1986 an IAF F-4 Phantom, piloted by Captain Aharon Achiaz, was inadvertently damaged midair and abandoned, resulting in the capture of flight navigator then-Captain Ron Arad by the Lebanese Shi'ite militia Amal. 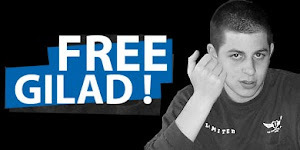 To this day, the whereabouts of Arad has not been disclosed by his captors. For many years after the war's official end, and throughout Israel presence in Lebanon, IAF AH-1 Cobras continued to mount attacks on Hezbollah and PLO positions in south Lebanon. On October 1 1985, In response to a PLO terrorist attack which murdered three Israeli civilians in Cyprus, the Israeli air force carried out Operation Wooden Leg. The strike involved the bombing of PLO Headquarters in Tunis, Tunisia, by F-15 Eagles. This was the longest combat mission ever undertaken by the IAF, a stretch of 2,300 kilometers, involving in-flight refueling by an IAF Boeing 707. As a result, PLO headquarters and barracks were either destroyed or damaged. Many of the IAF's electronics and weapons systems are developed and built in Israel by Israel Military Industries, Israel Aerospace Industries, Elbit and others. Since the 1990s, the IAF has upgraded most of its aircraft with advanced Israeli-made systems, improving their performances. In 1990 the IAF began receiving the AH-64 Apache helicopter gunship and started equipping its aircraft with the Rafael Python 4, Popeye and Derby missiles. During the first Gulf War of 1991, Israel was attacked by Iraqi Scud missiles. Israeli Air Force pilots were on constant stand-by in their cockpits throughout the conflict, ready to fly to Iraq to retaliate. Diplomatic pressure as well as denial of IFF (Identify Foe or Friend) transponder codes from the United States, however, kept the IAF grounded while Coalition air assets and Patriot missile batteries supplied by the U.S. and the Netherlands sought to deal with the Scuds. In 1991, the IAF carried out Operation Solomon which brought Ethiopian Jews to Israel. In the late 1990s, the IAF began acquiring the F-15I Ra'am (Thunder) and the F-16I Sufa (Storm), two of the most advanced variants of the F-15 and F-16 fighter jets, manufactured specially for Israel according to IAF requirements. The first of 102 F-16I Sufas arrived in April, 2004, joining an F-16 fleet that had already been the largest outside the US Air Force. The IAF also purchased the advanced Israeli air-to-air missile Rafael Python 5, with full-sphere capability, as well as a special version of the Apache Longbow, designated AH-64DI or Saraph. In 2005 the Israeli Air Force received modified Gulfstream V jets ("Nachshon"), equipped with advanced intelligence systems made by Israel Military Industries. The Israeli Air Force took an extensive part in IDF operations during the al-Aqsa Intifada, including the controversial targeted killings of Palestinian militant leaders, most notably Salah Shakhade, Mahmoud Abu-Hunud, Abu Ali Mustafa, Ahmed Yassin, Adnan al-Ghoul, Jamal Abu Samhadana and Abed al-Aziz Rantissi. While this policy is criticized due to the collateral damage caused in certain instances, Israel claims it is vital in its fight against terrorism and that IAF pilots do whatever they can to avoid civilian casualties, including aborting strikes.